2 3/4" x 1 3/8" 13 PT. Manila shipping Tags - pre-strung. Use to identify or address items that can not be labeled. 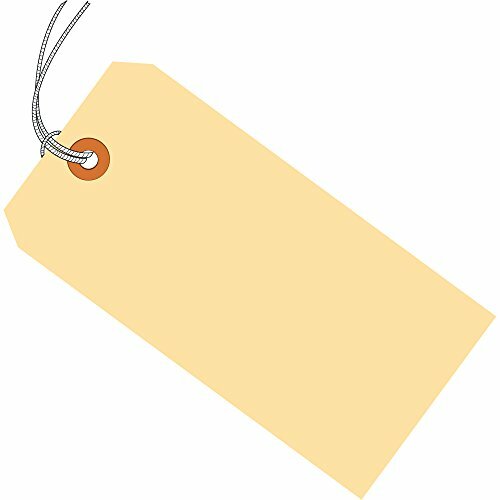 Tags feature a 3/16" reinforced, tear resistant eyelet. Tags are loop strung with 12", unpolished cotton String. Additional String available stock number G2501. Available in case quantities.